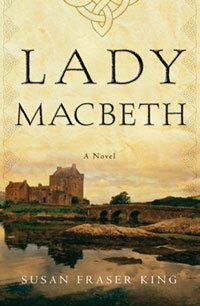 Lady Macbeth is also available as a Tantor audio book. To celebrate the release, here’s a gift to you – a beautiful downloadable bookmark in a .pdf form (designed by author Andrea Pickens). Print out the bookmark in color on glossy paper or laminate it – and print out more copies for friends to use, too! I am granddaughter to a king and daughter to a prince, a wife twice over, a queen as well. I have fought with sword and bow, and struggled fierce to bear my babes into this world. I have loved deeply and hated deeply, too…. Lady Gruadh, called Rue, is the last female descendant of Scotland's most royal line. 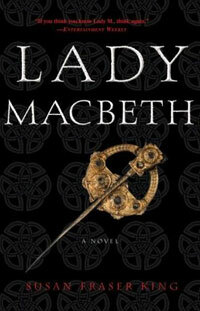 Married to a powerful northern lord, she is widowed while still carrying his child and forced to marry her husband's murderer: a rising warlord named Macbeth. Encountering danger from Vikings, Saxons, and treacherous Scottish lords, Rue begins to respect the man she once despised--and then realizes that Macbeth's complex ambitions extend beyond the borders of the vast northern region. Among the powerful warlords and their steel-games, only Macbeth can unite Scotland--and his wife's royal blood is the key to his ultimate success.